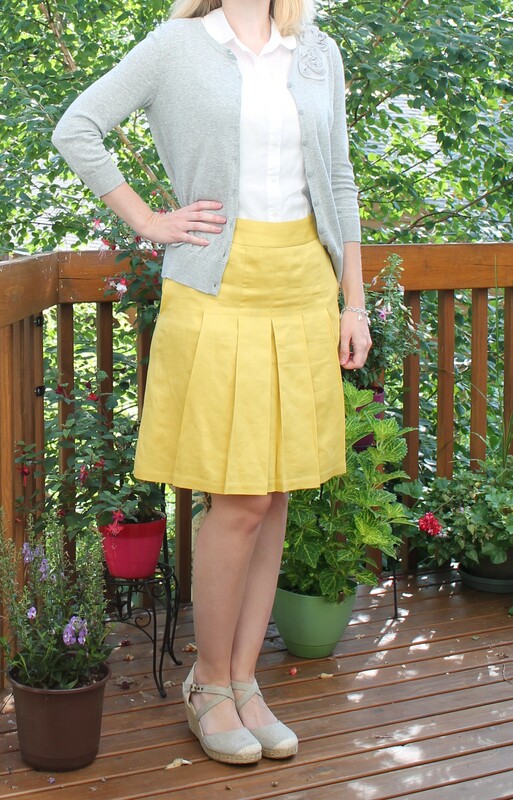 On Friday the weather was warm and sunny, so I decided to grab my mustard colored skirt from the closet and pair it with a white collared blouse and a grey cardigan. I love the espadrilles and it was actually the first time I wore them this summer. Yellow is my favorite color and always makes for a brighter day when I get to wear it.